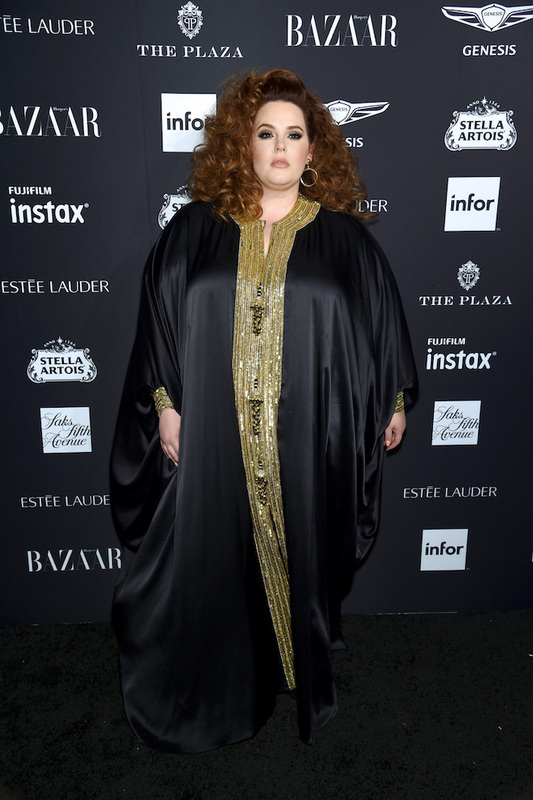 Is Tess Holliday’s Cosmo cover glorifying obesity? 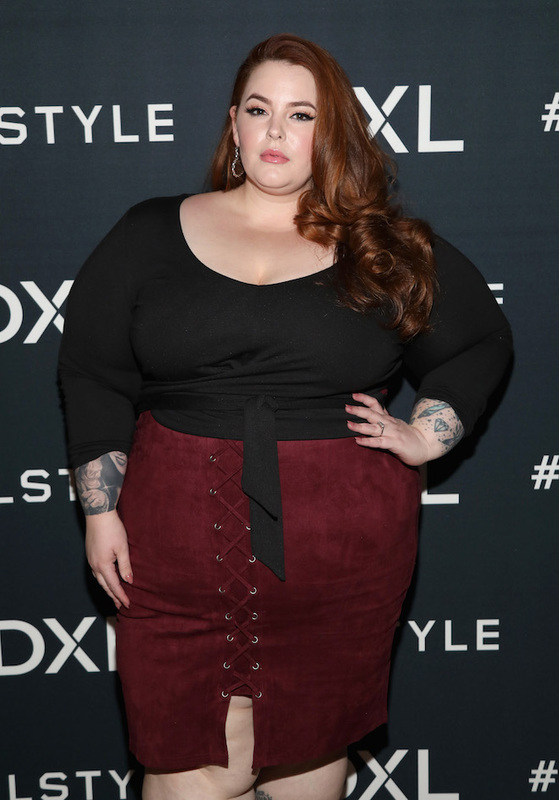 This month, Cosmopolitan Magazine shocked many by putting plus size model, Tess Holliday on its cover. Previously, Cosmo girls were only known to be skinny, tall and slightly curvaceous. Tess, on the other hand, is overweight and laden with tattoos. Why did Cosmo choose to veer so far away from its typical cover this month? Is it because they are promoting body acceptance? Or perhaps they are sending the message that women come in all different sizes and we should therefore be accepting of this fact. 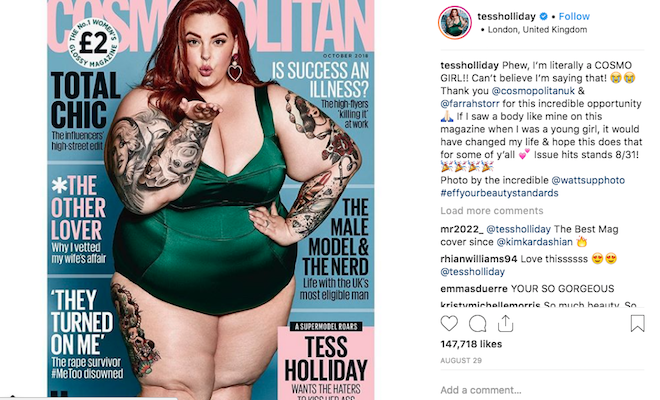 Or could it be a slightly more insidious reason: could Cosmo be putting Tess Holliday on the cover to garner more sales from shock value alone? After all, the surprise of Tess being on the cover is making us talk about it right now. And normally, would YOU be taking the time to read an article about the latest Cosmo cover? Admit it, you wouldn’t, right? Cosmo is not saying it is okay to be curvy. Rather, it is promoting an unhealthy body size to young women. And then using this to exploit sales. After all, how many people noticed the cover this month whereas usually they would glide by it at the drug store counter unaware? You see, Tess is not merely curvy; she is obese. Obesity is not healthy. Her size is more apropos for a fetish model. Unhealthy should never be in. And this is not merely about learning to embrace all body types. Why? Because most women would never aspire to have a belly that rolls over their thighs. This is “trendy” right now? Cosmo has a social responsibility; they should not promote an unhealthy body size to young women who aspire to be like the model on their cover. And they are choosing instead to capitalize on the shock factor that Tess brings them. Instead, their job should be to inspire young women to live life to their fullest potential and to be healthy. In the past, young women aspired to look like Cindy, Claudia, Paulina and Naomi. Don’t get us wrong, having a model on the cover who is too skinny due to an eating disorder is not right either. Both extremes are not healthy and should not be revered. There is another young girl who gets paid on social media to literally eat pizza all day. Fans encourage her by posting comments asking her to drink a cup of lard and to eat a glass of mayonnaise. Even her mother is encouraging her to get even fatter than she already is. Sure, she’s earning a living, but at what price? Her fans are enabling her to die at a very young age. Her mother is, too. Society is pushing people to the limit to kill themselves for money and fame. And it is the media’s responsibility to counteract this by simply saying it is not okay any more. Victoria’s Secret Angels Exercise Secrets Revealed!